Kevin is a Financial Advisor with Foundations Financial Partners, LLC providing insurance, investment solutions and comprehensive financial planning services to individuals, families and small businesses. He holds FINRA Series 7 and 66 registrations and is a licensed life, accident, and health insurance professional. Kevin received his Bachelor of Arts degree in Government from Dartmouth College in 2018. During his time at Dartmouth, he was named to the Academic All-Ivy Team (2015-2017) for excelling both on the hockey team and in the classroom. 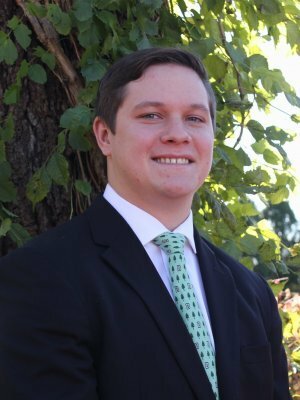 Serving as president of his fraternity in his senior year, Kevin has demonstrated success in leadership. Kevin currently resides in Warminster, PA and enjoys playing hockey, golfing, reading and spending time with his girlfriend, Molly, his family and friends. Kevin is a Registered Representative and Investment Advisor Representative of Securian Financial Services, Inc. Separate from the financial plan and our role as financial planner; we may recommend the purchase of specific investment or insurance products or accounts. These product recommendations are not part of the financial plan and you are under no obligation to follow them. Securities and investment advisory services offered through Securian Financial Services, Inc., Member FINRA/SIPC. Securities dealer and registered investment advisor. Foundations Financial Partners is independently owned and operated.